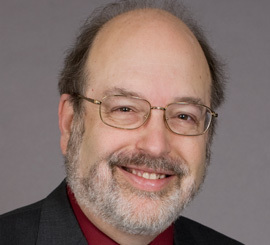 After over thirty years as a member of the Piano Department at the University of Cincinnati’s College-Conservatory of Music (CCM), Frank Weinstock retired in 2011 to devote more time to his “second career” as a software engineer and creator of music software. He is the vice president of TimeWarp Technologies, and has been the primary author of the Home Concert family of software, including In Concert (published in 1998 by Cakewalk), Home Concert 2000, and Home Concert Xtreme, winner of the 2010 Frances Clark Keyboard Pedagogy Award. As a pianist, his appearances as recitalist, soloist, and chamber musician have taken him throughout the United States, as well as to South America, Asia, Europe, and Africa, and he has performed with the Tokyo and American String Quartets, as well as conductors Erich Kunzel, Gunther Schuller, Keith Lockhart, and many others. His former students are themselves prominent performers, competition winners, recording artists, and professors at universities around the world. He has been a member of the performing faculties at the Aspen and Eastern Music Festivals, the Great Wall International Music Academy in Beijing, and the Opera Theater and Music Festival of Lucca (Italy), and has been on the jury for such competitions as the Gina Bachauer and Cleveland International Piano Competitions. At CCM, in addition to teaching piano, he also variously served as Chair of the Piano Department, Associate Dean for Academic Affairs, and Interim Dean of the institution. He lives in Cincinnati with his wife, Janell Weinstock, retired Vice President and General Manager of the Cincinnati Symphony Orchestra.